NES Classic Edition Shortages Plague the System's Launch | Nerd Much? NES Classic Edition shortages mean that you’re going to have a hard time finding this little guy on store shelves. Get ready to stalk your local retailer. Even if you live in a small town, you are very likely to have an issue getting your hands on an NES Classic Edition. Big chain stores in big cities seem to be getting five or six consoles at a time. With people lining up for the mini console’s launch, many are going to leave empty handed. Now it’s easy to blame Nintendo for the NES Classic Edition shortages. They should have known, right? After all, interest in the console skyrocketed just hours after Nintendo revealed its existence. However, its important to understand a few things first. Judging a console’s sales is difficult from online interest. The easiest example of this would be the Nintendo Wii U. Remember how many articles popped up when the system was rumored, announced, and even as games were released? People always seem to gobble up Nintendo articles, but where are the sales? The Wii U is quite famous now for only selling about 12.8 million units. Nintendo is having a hard time getting those units off the shelves. We understand that the NES Classic Edition is only a fraction of the price and arguably a much better deal. But what if we compare it to its own market? Did you even realize that their is a SEGA Genesis mini console? How about a handheld version? You’ve at least heard of the Atari Flashback, right? Chances are, you haven’t. Even if you had, their sales show you probably didn’t buy them. While these other consoles aren’t directly developed by SEGA or Atari, they are still a great value. Both SEGA consoles come with 80 games. The handheld allows you to play additional games that you download to an SD card. The console allows you to insert additional game cartridges. The Atari console comes with 100 games. All of these have way more than the NES Classic Edition’s 30 games. 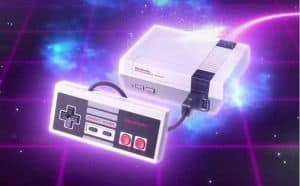 Most likely, the NES Classic Edition shortages are caused by Nintendo planning the console’s launch on these similar devices. They’ll turn it around though. When’s the last time you heard of any amiibo shortages?